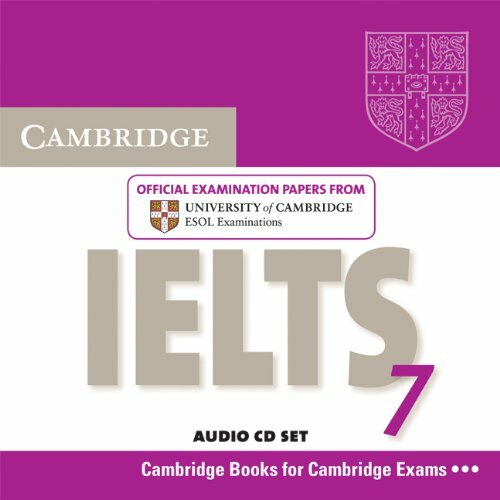 Cambridge IELTS 7 provides students with an excellent opportunity to familiarise themselves with IELTS and to practise examination techniques using authentic test material. These CDs contain the audio material for four listening papers in the same timed format as the exam. The Student's Book with answers which is available separately contains four complete tests for Academic candidates, including practice in the Speaking test plus extra Reading and Writing modules for General Training candidates. A Self-study Pack containing both the Student's Book with answers and 2 Audio CDs is also available.